How to Pack Light: 10 Travel Packing Tips for Lighter Luggage! It’s every traveller’s dilemma: how to pack light for a trip? So far on this blog, I’ve shared some of my top travel tips for finding cheap flights, keeping your belongings organized and bringing certain carry-on essentials to make long-haul flights more bearable, but today we’re going to talk about packing – how to pack light, to be precise! There’s nothing worse than having to haul a heavy suitcase around a new city (well, aside from having to pay for overweight luggage! ), so today I’m sharing 10 travel packing tips to help keep your luggage as light as possible. What is a capsule wardrobe, you ask? A collection of essential clothing pieces and accessories that can be mixed, matched and coordinated to form numerous outfits. A capsule wardrobe can help you avoid that dreaded question – “what should I wear today?” – often a result of having too many options. So why not minimize, simplify and streamline the whole process? My tip for packing a travel capsule wardrobe is to go for neutrals (black, white, grey, navy, brown) and add some fun into it with accessories (a scarf, a pair of sunglasses, or a headband). These items are smaller and lighter to pack than extra clothes, and they can help create multiple looks. Travel packing tip: when in doubt I like to ask myself, “Do I already wear this at home?” If I don’t, chances are I won’t wear it on my trip either. Travel packing tip: try to wear your bulkiest shoe on a travel day to save space in your luggage! This one is for the ladies, but seriously, how big is your everyday makeup bag? I cleaned mine out a few months ago and found that it was filled with products I had accumulated over the past year – most of which I don’t even use on a day-to-day basis! I found a handful of bright lipsticks I thought it’d be fun to experiment with (turns out purple doesn’t suit me), a broken eyeliner pencil, two half-empty tubes of mascara, random Korean beauty products that I was tempted by in Seoul, and to make matters worse, I’m pretty sure that most of these were expired! I’m not saying you should get rid of the fun makeup products that you wear out to parties or special occasions, but you don’t have to bring all of these on your trip either. For me, the answer is: moisturiser, BB cream, concealer, mascara, chapstick and sometimes a matte lipstick. Once you’ve figured out what products you need, you can just pack a small travel makeup bag with your essentials. You’ll be surprised by how light it feels in comparison to your everyday makeup bag. Travel packing tip: to keep things light bring multi-purpose makeup items. For example, lipstick that doubles as cheek stain, or a shimmery eyeshadow that can double as highlighter. Remember when those oversized handbags were in style? I always felt like that was a bit of a Mary Poppins vortex, where the unlikeliest of items would appear. The fact of the matter is, that the larger your purse, the more chances there are for unnecessary items to burden you. Before you leave on your trip, dig around your purse to see what’s actually in there? Two pairs of sunglasses, packets of gum, a tube of Tide-to-Go, a handful of beads from that bracelet that broke off your wrist, old Kleenex…a half-eaten chocolate bar you bought at the bus station two weeks ago, what? Chances are you’ll lighten your load, and also get through security a lot faster. Travel packing tip: bring a small, compact purse that only holds what you need for the day – otherwise you’ll be tempted to pack more things into it. Toiletries are one of the biggest culprits when it comes to heavy luggage. 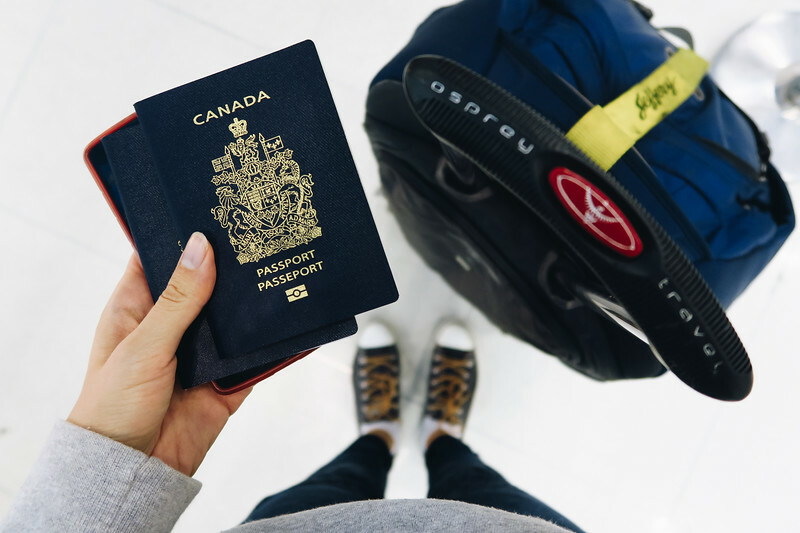 By the time you’ve grabbed your bottle of shampoo, conditioner, and body wash, you’ve likely already added an extra 2 litres of weight to your suitcase. In this day and age, most hotels, guesthouses and even hostels provide you with shampoo and soap. It may not be the mango-coconut scented shampoo that you’re used to, but it does the job. Alternatively, if you really want to use the products you’re used to, you can either buy travel-sized items from the drugstore or get these travel-sized refillable bottles so that you can fill them up with your own products at home. Travel packing tip: Always put your toiletries in a zip-lock bag to avoid any leaks. Did you know that you can buy guidebooks as e-books and that you can download them right to your phone? For example, Lonely Planet’s Guide to Europe on a Shoestring is around 900 pages and it weighs a ton (I travelled with it, so I would know!) So, why not get the digital version, or better yet, save yourself some money and just buy the chapters you need? That’s right, you can buy Lonely Planet e-books by the chapter based on the select destinations you’re travelling to? How clever is that? Travel packing tip: Go digital to keep things light. Laptop, tablet, phone – how many electronics do you travel with? Unless you’re working while travelling, there’s really no reason to have all these distractions. I mean, you’re there to enjoy your trip! One way to pack light is by leaving any unnecessary technology at home. I’d recommend just bringing your phone since it has all the functions you’re likely to need: you can call home, have access to email, and use GoogleMaps to navigate a new place. Everything else can stay home. 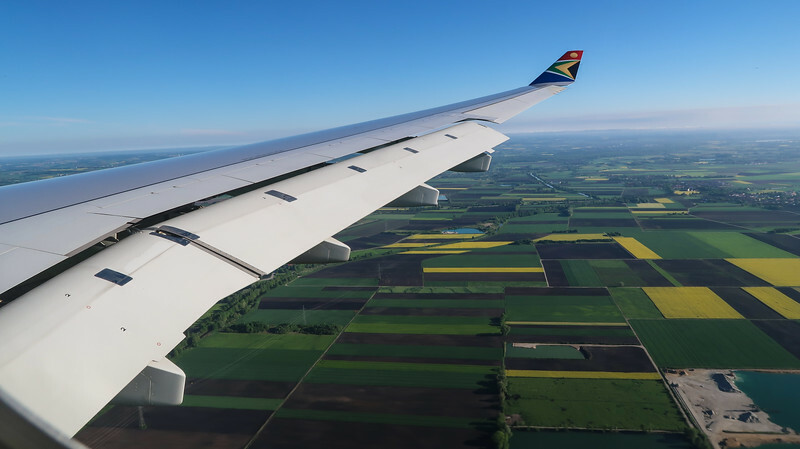 Travel packing tip: If you don’t have an international plan, you can pick up a SIM card with some data at the airport once you land in your destination. Just because you have space, doesn’t mean you should use it! One of the main reasons I used to overpack is because I was choosing the wrong luggage for the length of my trip. Whenever I saw that there was still room left, I would continue to throw things in resulting in a heavy suitcase. These days I travel with a Heys carry-on if the trip is 1-2 weeks in length, and my Osprey Sojourn 80L if I’m going to be gone for several months. I also try to make sure I’ve only filled about 3/4 of my luggage, just in case I do end up buying a few extra items while I’m travelling. Travel packing tip: If you struggle to keep your luggage organized, you can use packing cubes to compartmentalize your clothing. I love bringing reading material when I travel because it’s a great way to pass time on planes, trains and buses. When I first started travelling, I actually used to pack 2-3 paperbacks in my luggage, which can be quite a bit of weight to carry around. Then, I got a Kindle and it was a huge revelation. It was so thin and light and it could hold so much reading material! I still love the feel of real books in my hands and I continue to buy books for my ever-growing library, but I’ve also made room for a Kindle in my life when it comes to travel. Travel packing tip: Get a case for your Kindle so you don’t end up with a cracked screen. Last but not least, the most obvious one: try packing carry on only! It can seem a bit daunting if you’ve never done it before, but why not give it a shot. Following the packing tips above, spread out what you think you’ll need for your trip on your bed, and try to see if it can fit in a carry-on suitcase. If it can, pat yourself on the back, because you’ve just figured out how to pack light for your trip! Travel packing tip: if it doesn’t fit in your bag, wear it! This goes for hats, jackets and bulkier shoes. Do you struggle with how to pack light for a trip? What are your tips and tricks for keeping your luggage light? Audrey is the creator of That Backpacker and has spent the past few years crisscrossing the globe with a notebook in one hand and a camera in the other. She likes to travel, make YouTube videos, and drink spicy soup! Very helpful tips! It took me a few years of traveling to really get the pack light concept and I have finally gotten better at it. I use a lot of your tips for when I pack. Also, found that packing cubes are so helpful when trying to pack light! That’s a really useful list to carry. Like you, I prefer to travel reasonably light, although since my kids came along, I’ve had to adjust my packing style. These days, we travel with everything other than the kitchen sink. On a recent trip to Barbados, we managed to get it down to two suitcases, which was pretty good. My best tip would be to get kids their own rollaboard carry-ons as soon as they are big enough to pull them (our kids were two). It gives them something productive to do, which dramatically increases the odds of cooperation. Plus, nothing clears a path in a busy airport like a purposeful two year old with a suitcase who knows where he’s headed. I have been backpacking for years now, but I still tend to carry a lot more clothes and stuff than I need. At times, it gets really difficult to have so much weight on my back, but I am working on it, and hoping to get better at packing stuff for my future trips. Welcome to That Backpacker! 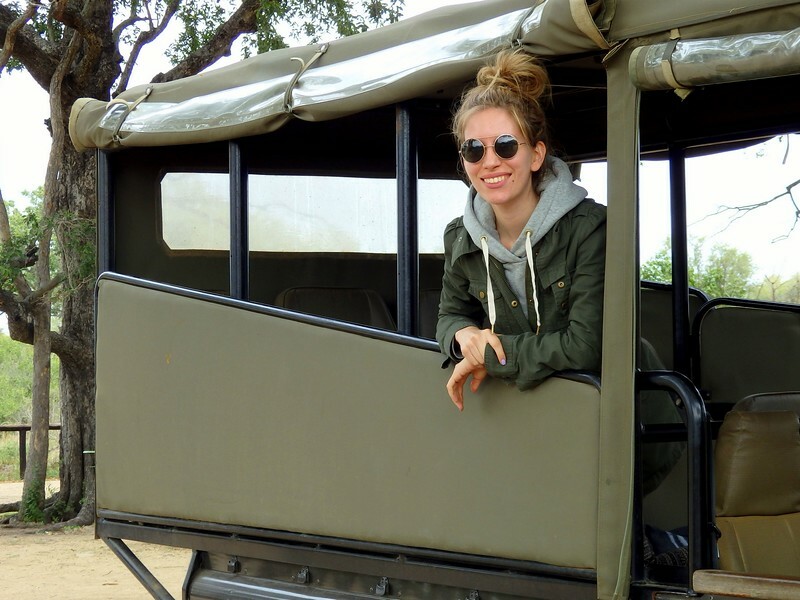 My name is Audrey and I'm a travel blogger and YouTuber with an insatiable case of wanderlust. I've spent the past few years crisscrossing the globe with a notebook in one hand and a camera in the other. This is where I share my adventures with the hopes of inspiring you to travel. ThatBackpacker.com contains affiliate links throughout the site which help keep this blog running. If you choose to purchase items through these links, I will earn a small commission at no extra cost to you.